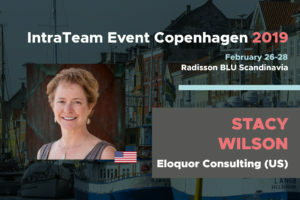 If you can't commit to lead, you can't be responsible for strategy - Eloquor Consulting Inc.
Later this month I’ll be teaching a session on connecting business strategy to digital workplace strategy at the IntraTeam Event in Copenhagen. This is a topic that resonates strongly with digital workplace leaders because they know it matters to executives. If your digital workplace doesn’t support achievement of business strategy and goals, then why bother? My colleague, Mike Klein, recently posted that “the lack of unprompted awareness or reported engagement of internal communication folks in the development of DW strategies and approaches” is the most compelling trend of our time. He’s right; this happens far too frequently. Shocking to say in 2019. Some Communication professionals don’t appreciate their responsibility for ensuring productivity, collaboration and effective communication. Perhaps they view their role as strictly message delivery. I’ve worked with people like this; it’s not pretty. Sometimes, Communication leaders are uncomfortable with technology, preferring to leave it to IT. Other times, the Communication leader is too afraid to step into a leadership vacuum. Still other times, animosity between Communication and Human Resources keeps either from having positive influence on digital workplace direction. Whatever the cause, the results can be disastrous. Money gets spent, staff time is wasted, and after a huge implementation the organization struggles to achieve ROI. Then it’s deja vu all over again a few years later. It’s a little like doing 40 burpees every day for three weeks and then sitting around doing nothing for the next 6 months. You have to start over. So who should own digital workplace strategy? Kurt Kragh Sørensen from IntraTeam put a related question to the speakers at this month’s conference. He was wondering if there’d be changes to who takes responsibility for the digital workplace in the near future. I especially liked the responses from Kimberley Morrison and Patrik Bergman. Bravo Kimberley and Patrik! What do you win? The satisfaction that comes with a good decision. That’s right. Those of us who step into the fray to lead digital workplaces generally don’t receive awards, promotions, or even gold stars. We do it because it is the right thing to do for our employee-users and our organizations. Now, I don’t care if you are still talking about “intranet” and not yet focused on the broader “digital workplace.” If you haven’t got your strategy and ownership squared away, you’ve got some immediate work to do. Until then, you can kiss your expectations goodbye. Good strategy leads to good decisions; chances are you’re not able to make those right now. P.S. Get yourself registered for the IntraTeam Event in Copenhagen and I’ll see you there!